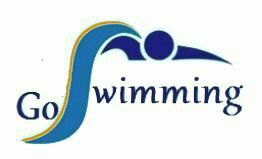 Offering Private swimming lessons for infants, kids, and adults of all ages in the comfort of your own swimming pool. My name is Golnoosh. I gained a passion to teach swimming at a young age. I have taught all age groups and all levels throughout the years. I have been teaching swim lessons from 6 months to 80 years old in all levels for past 22 years and have worked for private pools as well as City pools. Today, swimming continues to be a part of my life as well as to be healthy & fit. As a Swim Instructor, I like to personalize lesson plans with games and activities to teach water safety and make swimming fun! I live in west Los Angeles (Brentwood 90049) and can offer my services anywhere in Santa Monica, Pacific Palisade, Brentwood, Sherman Oaks, Westwood area, and Beverly Hills. I am fluent in English and Farsi. Swim Instructor Certified, First Aid/CPR, AED, and Red Cross Lifeguard Certified, Hydrotherapy Certified.